This year, I selected one called Snow Frills. 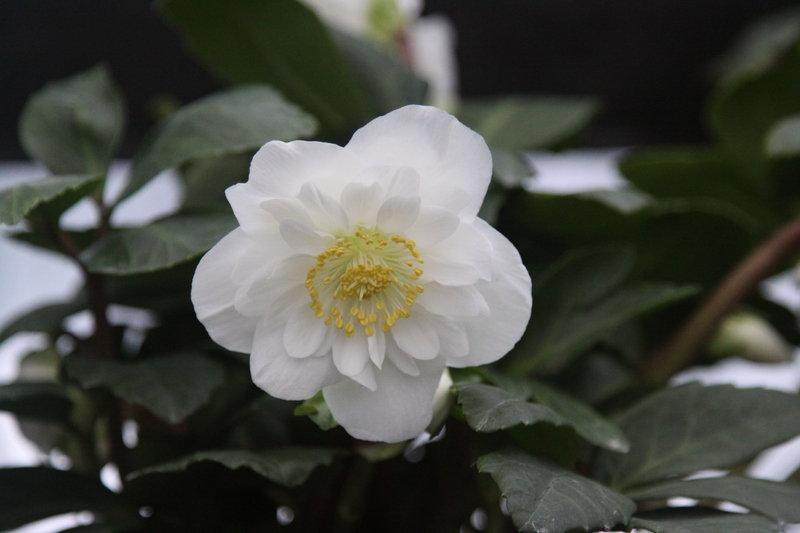 Snow Frills is a perky Christmas Rose selection from the Helleborus Gold Collection (HGC). It is fairly compact at 9-12 inches tall. 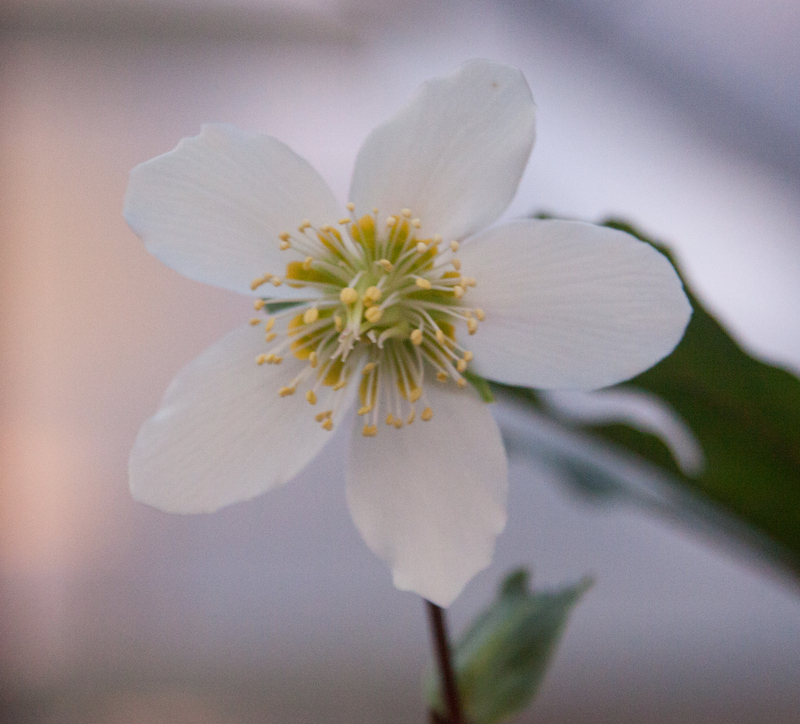 The lovely double, white flowers have a light fragrance. These flowers are not double in the way that Peppermint Ice and Frilly Kitty are. They struck me as very unique. 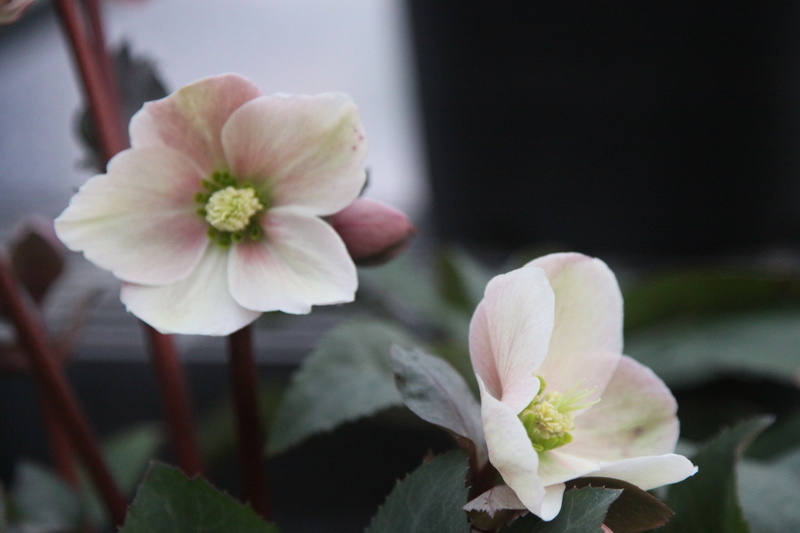 The Snow Frills went into a container with Obconica Primroses and a viola. 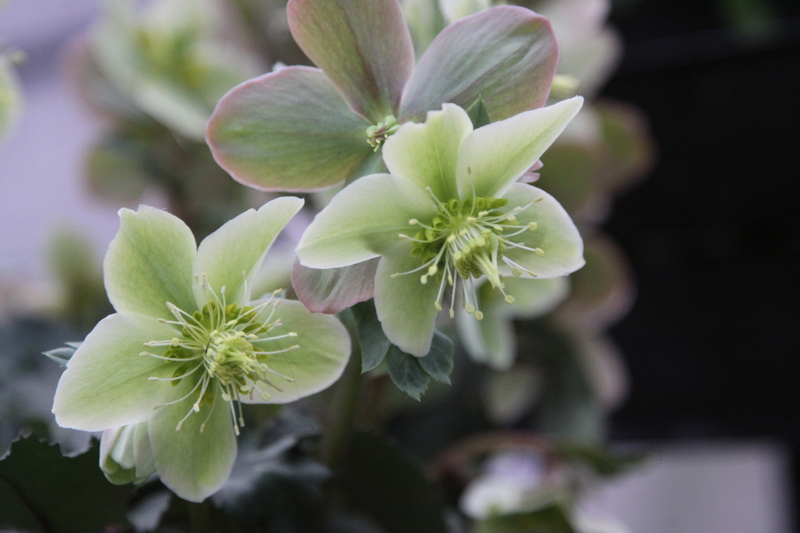 I like Hellebores for a number of reasons besides being a winter bloomer and great in containers. 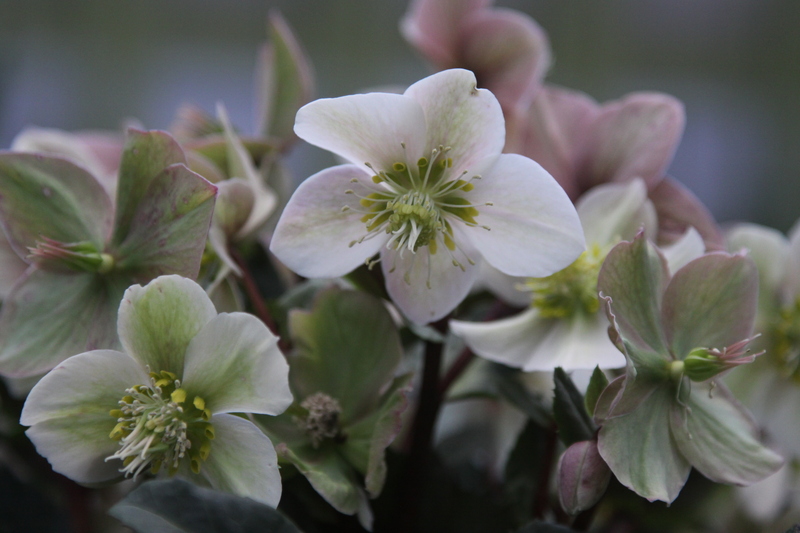 They are hardy for our area, mostly evergreen, and they like dry shade and the slugs and snails don’t seem to cause them too much damage in my garden. Of course, the slugs and snails may have other more succulent plants to choose from at my house. 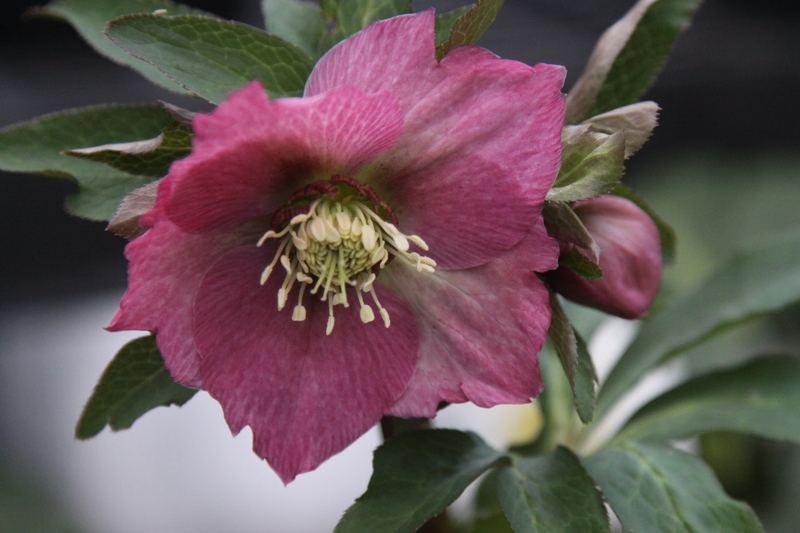 Hellebores are deer resistant as well. 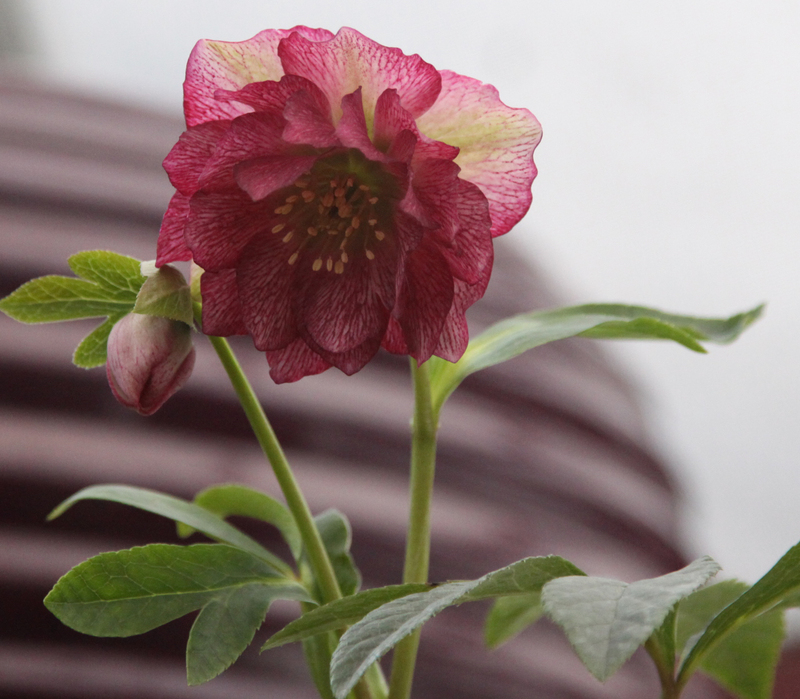 My garden tends to be wet, so a couple years ago I planted Jacob Hellebore in a container. It has done well, even through our December cold spell. The pot is under the front porch overhang and right next to the house. Last spring, I planted a variety similar to Painted near my Japanese Laceleaf Maple under the eaves of the house. It has been a problem area as it gets no natural rainfall at all. I figured I would remember to water it during the summer or that my husband would get the drip irrigation to it. No such luck. It died. So I can tell you from experience, that although they are drought tolerant, they won’t tolerate 4-5 months with no water when they are newly planted. 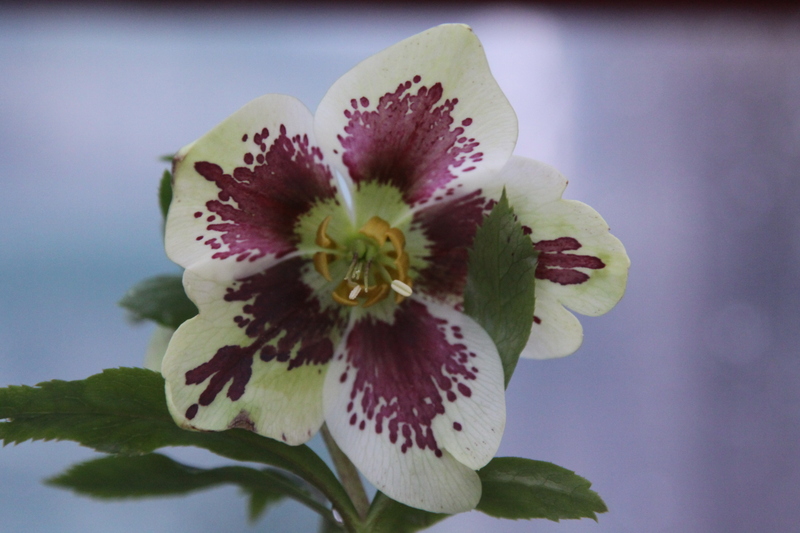 Other than some consistent watering early on, Hellebores are not very fussy. The only pests I have seen on them are aphids. Although they can get botrytis, like Peonies do, it doesn’t seem to be a major threat in the garden. 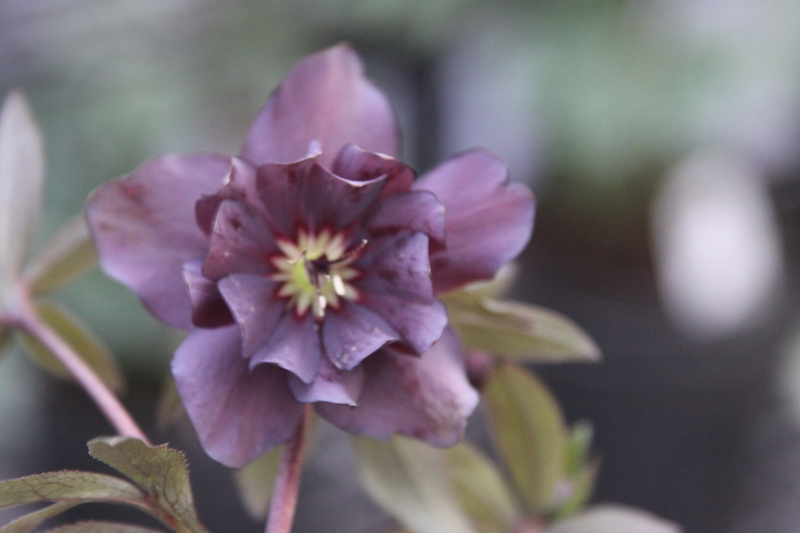 There are so many different cultivars. 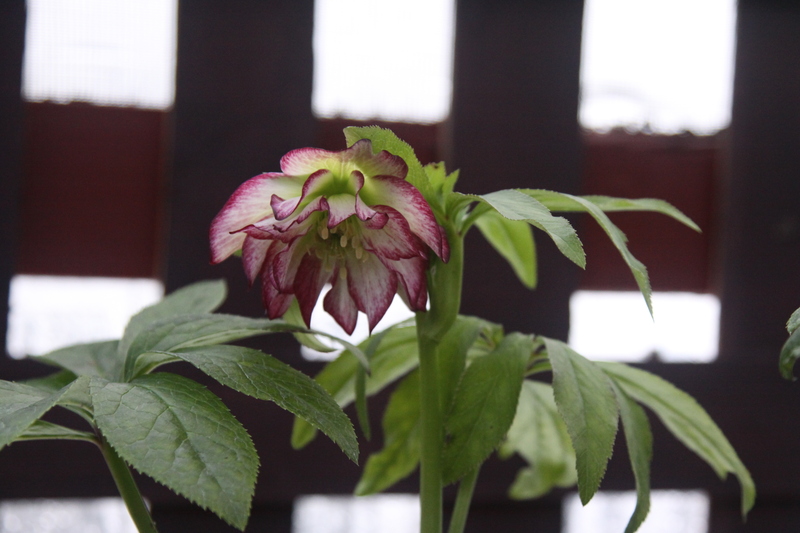 Some bloom as early as December and some bloom as late as into April. 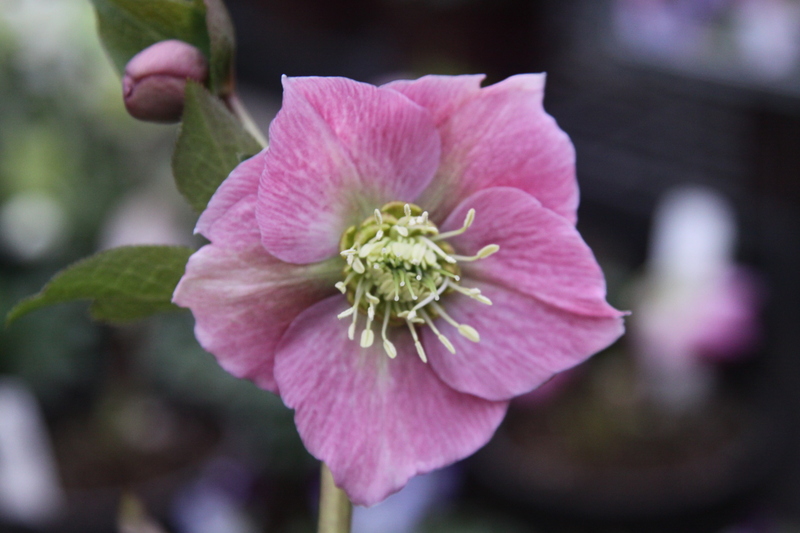 There are the Christmas Rose cultivars (Helleborus niger) and the Lenten Rose cultivars (Helleborus orientalis) as well as crosses and a few other significant species, with different foliage. There have been so many different cultivars introduced in the last few years that I have a hard time keeping track of them all. I’d rather just enjoy their beautiful flowers. Here are a few of the 29 varieties we have on hand. 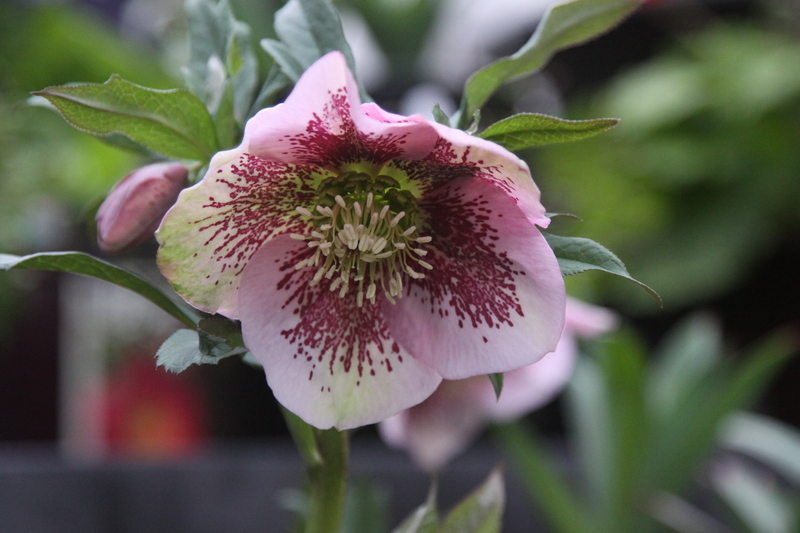 Visit Garland Nursery to see the rest. 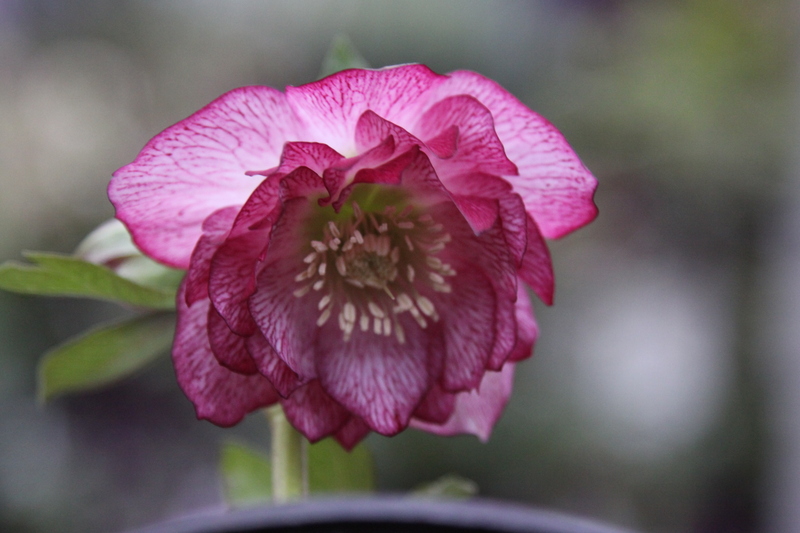 Will definitely be out to pick up one of the Hellebores varieties! Great blog Brenda! 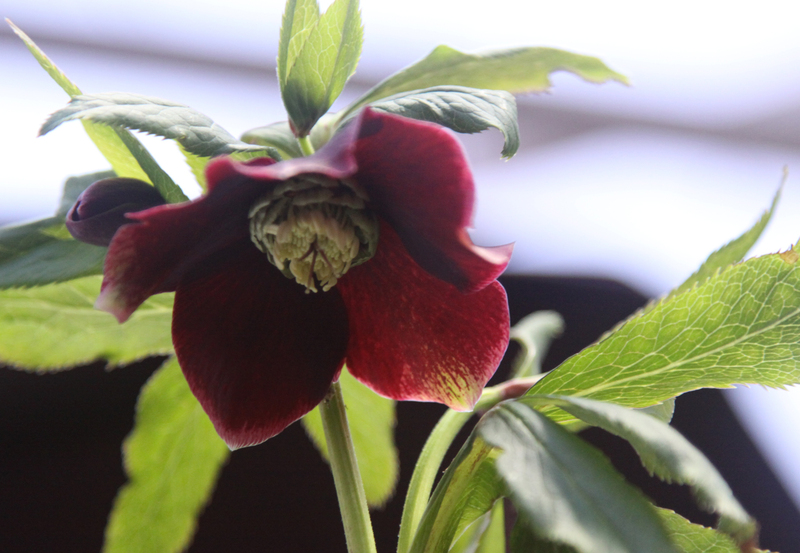 Love hellebores! I need to get to Garlands to see these. Thanks, Wanda. Hope to see you soon. Reblogged this on Chase Creation.